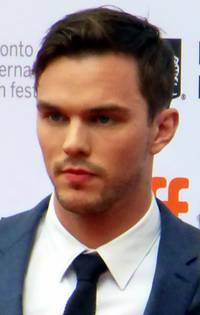 Nicholas Caradoc Hoult (born 7 December 1989) is an English actor. Hoult made his professional acting debut at the age of seven in the 1996 film Intimate Relations. He received recognition after landing the role of Marcus Brewer in About a Boy, for which he was nominated for the Critics' Choice Movie Award for Best Young Performer. He received further acclaim for his performance as Tony Stonem in the E4 teen drama Skins. • Jennifer Lawrence on ex-boyfriend Darren Aronofsky: "I still love him"
This webpage uses material from the Wikipedia article "Nicholas_Hoult" and is licensed under the GNU Free Documentation License. Reality TV World is not responsible for any errors or omissions the Wikipedia article may contain.